Megan, Maryanne, Grace and I went down to Kiama harbour for the annual food and wine festival. 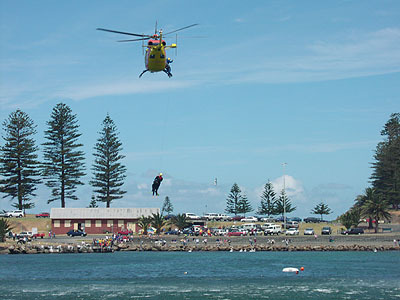 I got a couple of good photos of the demonstration helicopter rescue. I didn’t take many other photos – it was too relaxing enjoying the food, wine, music and sunshine.